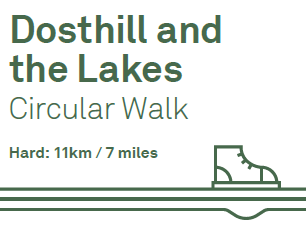 An easy circular walk through the countryside around Dosthill, exploring RSPB Middleton Lakes and sights around Dosthill. 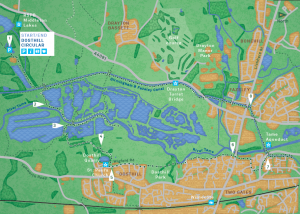 Landscape and path type: This route follows surfaced footpaths and bridleways through nature reserves, muddy tracks, hills and inclines. There are tarmacked pavements, towpaths and roads. There are also footbridges, steps, slopes, pedestrian and kissing gates, and a stile during this walk. Sturdy footwear is recommended. Dogs: Restricted to public rights of way through the reserve, under close control at all times. 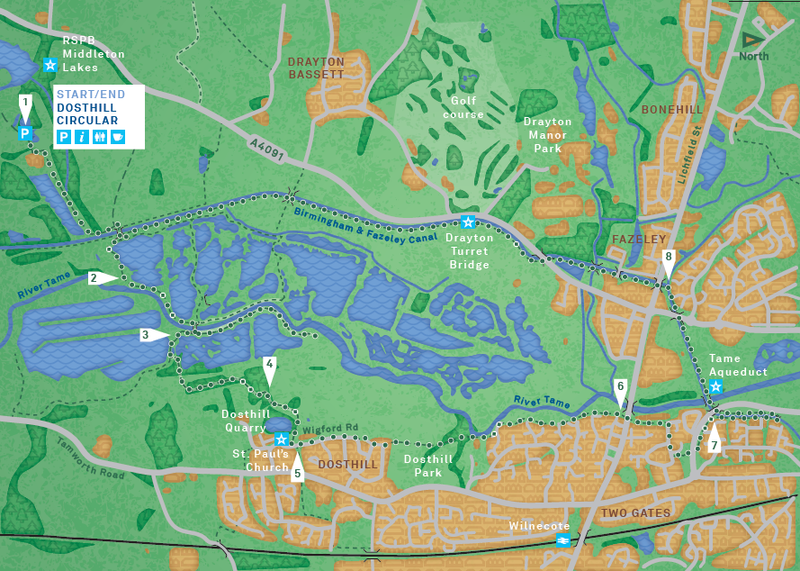 Notice: During adverse weather, the section of this walk through RSPB Middleton Lakes can flood. Please take care and use sound judgement, adhering to warnings and restrictions which may be in place along the route.